For IT News Week 3 May 2018. PR - May 22, 2018 - Shower Countless Blessings With OPPO F7 Neelofa Edition For Your Hari Raya Aidilfitri 2018! 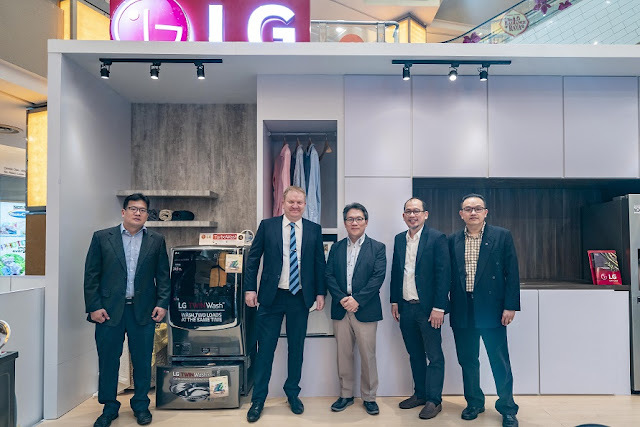 LG Electronics Malaysia today showcased its line-up of products in the roadshow for consumers, themed “Creating a Better Life”. The leading consumer electronics brand unveiled the curtains to its signature and award-winning OLED TVs, Super UHD TV, InstaView™ Refrigerators and TWINWash™ washing machine. Beginning today – till 27 May 2018, customers can enjoy a 6% discount on selected LG products and enjoy promotions for its Signature OLED TVs, TWINWash washing machines and more*, exclusively at Orange Concourse, Sunway Pyramid. At the same time, LG UK630 with AI function is retailed at RM2,798 (MSRP: RM3,999) and only 100 units will be available. The new LG TWINWash™ incorporates the TurboWash™ that trims the time of a regular wash program down to 59 minutes, reducing water and energy usage. It sprays water directly onto fabrics for approximately 120 seconds, making the already impressive rinse cycles even more efficient than ever before. Recently, a Frost & Sullivan study commissioned by Microsoft mentioned that the potential economic loss across Asia Pacific due to cybersecurity breaches can hit a staggering US$1.7 Trillion, more than 7% of the region's total GDP. Said to be the "tip of the iceberg", what does this mean in practical terms for businesses? How should they, and especially the management, ought to tackle this potential iceberg? What are the best practices at the network, data, and user level? Are there ways to reduce such potential breaches to a minimum, or are businesses at the passive receiving end? And in the imminent arrival of the GDPR in EU, the compounded liability will only make the matter even more challenging. Commvault has expanded its portfolio, further integrating with Microsoft Office 365 to improve data protection, migration, security, eDiscovery and compliance while maximizing customers’ and partners’ investments in Microsoft 365 and Office 365 environments. This agreement allows Commvault’s growing ecosystem of Service Provider and Systems Integrator (SI) partners to expand their service portfolio to cover Office 365 migrations and protection, addressing a key challenge that end-user customers have expressed. In parallel, customers can now extend their on-premises policies to Microsoft 365, Office 365 and Windows 10, while managing them on a common data platform to reduce risks and instability associated with point solutions. Through this integration, users of Commvault will benefit from the followings whilst using Office 365 in the aspect of enhanced compliance and governance. Zhao Zhiwei, Head of honor Malaysia said Honor 10 is being launched in Malaysia one week after the global launch. JLL today announced it will host ‘Proptech Unleashed’, the first-ever proptech forum at innovfest unbound, Southeast Asia’s largest innovation festival. Held on 6 June 2018 at Singapore’s Sands Expo & Convention Centre, the half-day event will gather thought leaders and rising start-ups to explore how proptech – the convergence of real estate and technology – is changing the way people live, work and play. JLL’s ‘Proptech Unleashed’ will examine the challenges of underdeveloped infrastructure, innovation bottlenecks and a shortage of tech talent etc; starting with a panel focused on smart cities that will explore how tech advancements will create new urban spaces while enhancing connectivity. 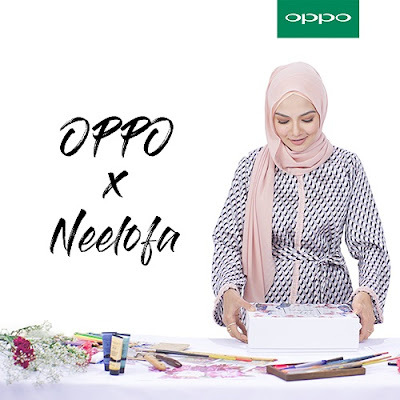 As the Raya season is around the corner, OPPO Malaysia has collaborated with Neelofa to design a special Raya edition gift box for the OPPO F7. The OPPO F7 featuring with 25MP A.I. powered selfie technology, is all ready to capture the best moment together with Neelofa gift box on this festive season. OPPO F7 features 25MP front camera installed with AI Beauty technology for selfie photography. Zenjiro is a multi-lingual comedian who has thrilled audiences in Japan, China, India, Thailand, Canada, Scotland, England, Australia, USA, Holland, and Malaysia. 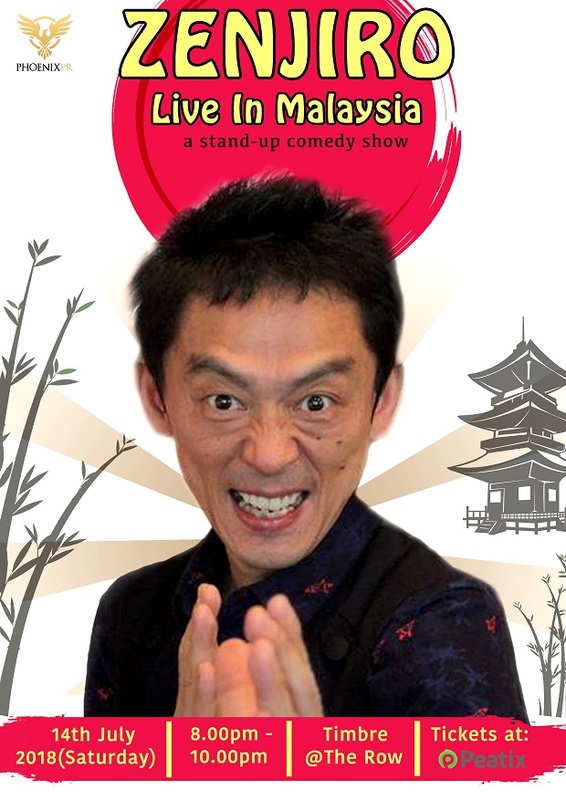 On top of that, the multi-faceted funny man, known for his satirical take on popular Japanese stereotypes and nuances, has performed at various comedy festivals, and won countless accolades for his unique brand of comedy. To the delight of his Malaysian fans, Zenjiro will be headlining a stand-up comedy show called, ‘Zenjiro Live in Malaysia’ happening on the 14th of July at Timbre Kuala Lumpur. Tickets for ‘Zenjiro Live in Malaysia’ are priced at a meager RM 80 and can be purchased online at http://zenjiroinkl.peatix.com. For more information on the show please visit https://www.facebook.com/PhoenixPRMY/. This stand-up comedy show is organized by Phoenix PR, and Timbre Kuala Lumpur. Hitachi Vantara, a wholly owned subsidiary of Hitachi, Ltd. (TSE: 6501), introduced today its latest specialized data recovery platform, Hitachi Data Instance Director (HDID) v6.5, which enables the long-term retention and reuse of managed copy data to support a wide range of secondary applications. HDID v6.5 provides recovery copy services using modern data protection technologies, agile copy services enabling the repurposing of the copied data, and governance copy services to manage long-term retention and support data discovery and analytics. Research* from Kaspersky Lab has revealed that businesses are falling behind in the race to protect themselves from Distributed Denial of Service (DDoS) attacks, due a reliance on others to do the job for them and a general lack of knowledge about how to protect themselves against becoming a victim. A third (34%) of organisations do not use anti-DDoS solutions, but rely on their ISP to shield them from attacks, however this approach leaves many vulnerable and at risk of suffering from data loss and business disruption. DDoS attacks are one of the biggest cyberthreats facing organizations today, with the potential to quickly bring a halt to business operations and lead to significant financial and reputational damage. However, despite 43% of businesses feeling vulnerable to this type of attack, many (41%) admit that although they’d like to know more, they currently have little knowledge about the threat, relying instead on technology partners including their ISP (34%) and data centre provider (26%). Kaspersky DDoS Protection can help businesses defend themselves against DDoS attacks. The fully-integrated solution features advanced intelligence and special sensor software to protect organizations from the most complex and high-volume attacks. Despite the high price of PCIe SSDs, users of Ultrabooks, Mini Desk Top PCs, and gaming computers generally believe it’s a price worth paying. But Apacers’newly-minted AS2280P2 shows that you can have breakneck speed without breaking the bank. AS2280P2 is a M.2 PCIe SSD equipped with the latest 3D NAND Flash technology, significantly improving its capacity by stacking. Outperforming with up to 1650/1000 MB/s for read and write, AS2280P2 is designed for the needs of gamers and much more. Apacer AS2280P2 comes in a M.2 2280 form factor, is compliant with NVMe 1.2 specifications, and offers capacities of 120GB, 240GB and 480GB. The sequential read/write speeds are up to 1650/1000MB, with up to 92,160 IOPS in random read/write, which is sufficient to manage data-intensive applications. AS2280P2 is also built with excellent heat dissipation to ensure its stability during long operations.